Church of Ireland parishioners of St. Michael’s Church, Blackrock joined to celebrate with neighbours in St. Michael’s Roman Catholic Church as part of the church’s Golden Jubilee. This year marks 50 years since the rebuilding of St. Michael’s Roman Catholic Church, the original building having been destroyed by a fire. As part of the Jubilee Celebrations, an ecumenical service was held on Sunday 19th October. 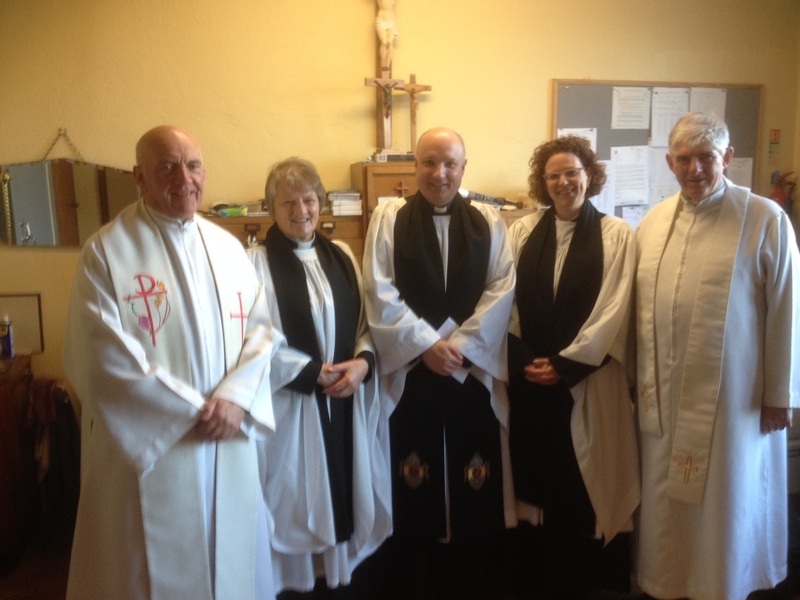 Clergy at the Ecumenical Service in St MIchael’s Roman Catholic Church, Blackrock, Cork. The links of respect and solidarity between us as Christian Churches in Blackrock are long-standing and mature. When the earlier church on this site was burned down in 1962, the then rector Archdeacon Hutchinson, with characteristic ecumenical generosity, immediately offered the use of St. Michael’s Church on Church Road as a place for worship. In today’s world where the choice often presented is between faith and no faith, it will be all the more important that the Churches can witness together to their shared faith in Jesus Christ. This entry was posted in Cork, Diocese, Ecumenism, Parish News, Special Events. Bookmark the permalink.